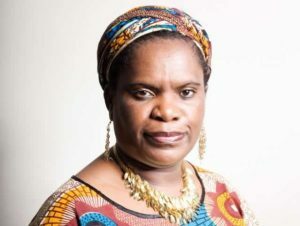 I am writing to you as a young ambassador for Girl Child Network of Zimbabwe (GCN), which was started by Betty Makoni. http://girlchildnetworkworldwide.org/. GCN is an international fund that gives girls small grants to be self reliant, organize girls clubs and do their own development projects. GCN girls are currently in need of sanitary pads. Recently GCN put together the attached report from their field research study. Sometimes when one goes for a research, one has a rough idea of what they have to hear and see. This was not the case with the Action Research Team here at GCN who went out for a research on the effects of sanitary towels shortages and got unimaginable information on how devastating the situation on the ground is. What came out of this exercise is the intense suffering the girl child is subjected to due to a combination of natural and man-made shortages of such essential wares as sanitary towels. How the girls are surviving is almost a miracle as some of the materials they were found using have the potential to completely damage their reproductive health. Today we are a proud girl’s organisation as we have the basic facts on the effect of scarcity of sanitary towels on the reproductive Health of girls. It is no doubt that our future response to girls’ reproductive problems is well informed and quite real and beneficial to the poor, disadvantaged girl child. I have copied Betty on this email. Please let me know how GCN could participate in your program. GCN has an extended network of young women who work with Betty and could help contribute to the success of the program.